two things i learned today: 1) the USMNT can win in the azteca, 2) jermaine jones likes to celebrate like a boss with his oxygen tank. Though I’m admittedly still on a bit of an adrenaline high just over two hours after the United States’ “historic” win in the Azteca — I won’t elaborate further on it, as tonight’s win has spawned another full-length post where I’ll delve into the topic in greater detail. 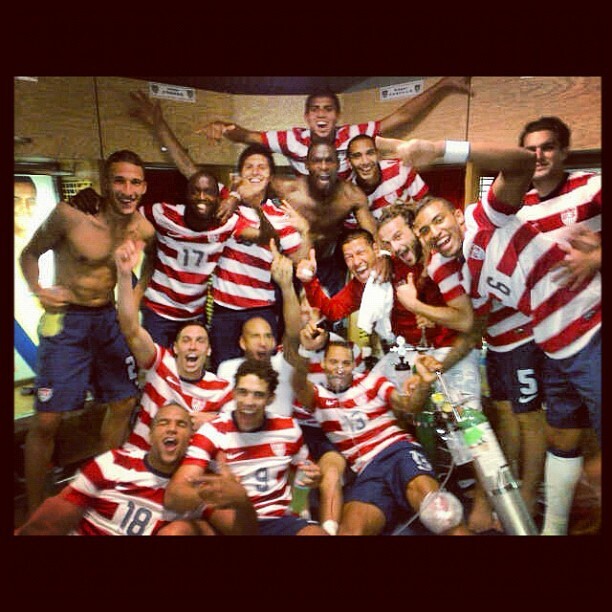 But it still feels good to beat Mexico, even if it was just a friendly. Maksim Molokoedov: Chile’s first professional Russian player AND prisoner.